A localized infection in the bone or soft gum tissues, usually at the end of the root tip. Treated with antibiotics and possibly a root canal, performed by an endodontist. The natural teeth or the upper par o fan implant that holds a fixed or removable bridge in place. A device that uses tiny particles of aluminum oxide blasted in a stream of air at the tooth to remove the decayed debris and ruined enamel of cavities. This procedure usually eliminates the need for anesthesia, though it is not usable for all procedures where a drill has normally been used. The most common filling material used for fillings, also referred to as mercury or silver, which are often contained in the mixture. Alternatives are composite resins, and gold or porcelain inlays. Surgery to the root section of the tooth through the side of the gums where the root is severed at the base of the tooth and the tooth is then filled. Usually done when a root canal has failed to eliminate pain or infection, and is generally performed by an endodontist. A disorder which is potentially fatal in which a person who is asleep may stop breathing multiple times for more than 10 seconds. A general dentist or an oral and maxillofacial surgeontreats this disorder. A device that has a chamber where instruments are placed and steam under pressure is injected in order to complete sterilization. OSHA (Occupational Safety & Health Administration) standards require all dental offices to have sterilization procedures for instruments that include the use of an autoclave. The way the mouth closes, or the way in which the upper and lower teeth meet. Refer to dictionary entries for malocclusion, TMD, orthodontics. A process of whitening teeth that uses special compounds usually containing hydrogen peroxide. Sometimes lasers are used in conjunction with these compounds. The over-the-counter whitening products are not the prescription strength that dentists use and are therefore less effective. The covering of a tooth surface with a composite resin to correct stained or damaged teeth. Done normally if there is enough healthy natural tooth material, otherwise porcelain veneers or crowns would be used. Prosthetic (false) tooth or row of teeth that spans between two natural teeth to replace missing or lost teeth. An alternative to a bridge would be a dental implant. Involuntary, “nervous” grinding of the teeth while the patient is asleep. Can eventually cause headaches, TMD, loss of tooth surface and cracking. Treatment includes a nightguard custom-made by a dentist from impressions made of the patient’s teeth. (Also called tartar.) Calcified plaque that forms from mineral salts in the saliva and deposits on the teeth. Removed in the course of a prophylaxis, or dental cleaning. Some toothpastes claim to reduce tartar accumulation, but only regular dental checkups and professional cleanings can prevent this accumulation from causing gum disease and tooth loss. (Also called a crown.) A porcelain or gold cover for a decayed, damaged, brittle, or discolored tooth. The medical term for dental cavities. A decay lesion or hole in a tooth, usually caused by a diet which includes sugar, which allows bacteria to grow and secrete acid onto the enamel of the tooth. A thin layer of calcified tissue that has the hardness of bone and covers the root surface of the tooth, connecting the root to the bone of the jaw. A tooth-colored filling composed of a polymer material that looks like a natural tooth. Used instead of metal amalgam. Alternatives are gold or porcelain inlays. A kind of inhalation sedation with nitrous oxide with keeping the patient’s consciousness –also called laughing gas- which helps against anxiety while the dental treatment is done. Cosmetic/Esthetic Dentistry can be defined as the process of providing the most convincing natural dentition possible while maintaining it to the highest standards. The true understanding of all aspects of comprehensive esthetic and cosmetic dentistry and the integration of the philosophical triad of “health, function and beauty” assists us in providing optimal dental care. A porcelain or gold cover for a decayed, damaged, brittle or discolored tooth. The large single-cusped (pointed) teeth at the corners of the mouth, located between the incisorsand bicuspids. Also known as canine teeth. (Also known as primary or baby teeth.) A child's first set of twenty teeth that are eventually replaced by permanent teeth. A waxed or unwaxed piece of nylon string that is inserted between the teeth and moved in an up/down fashion for the removal of plaque or other food deposits. Essential care for healthy teeth and gums, at least once a day. The main portion of the tooth structure covered by enamel and surrounded by a layer of cementum along the root. A removable set of artificial teeth. Dentures may be partial, that is, replacing only a section of teeth, or full, which would replace the entire upper or lower sections of teeth. Dentures are most often created by a prosthodontist. An alternative to dentures is dental implants. The space between teeth, most often referring to the top two center teeth. The use of computer imaging rather than traditional x-ray film to create and store images of teeth. The highly calcified covering over the outside of the tooth. It is the hardest substance in the body. The branch of dentistry concerned with the treatment of the dental pulp or nerve of the tooth. The most common procedure is a root canal. A specialist who treats injuries, diseases, and infections of the tooth pulp (nerve tissue). Esthetic/Cosmetic Dentistry can be defined as the process of providing the most convincing natural dentition possible while maintaining it to the highest standards. The true understanding of all aspects of comprehensive esthetic and cosmetic dentistry and the integration of the philosophical triad of “health, function and beauty” assists us in providing optimal dental care. The removal of a tooth that is severely decayed, broken, loose, or causing crowding. Restoring lost tooth structure with amalgam, metal, porcelain, or composite resin. Used as part of the treatment of cavities. A chemical that is used to strengthen the tooth enamel. Added to many public water supplies and toothpastes. A controlled state of unconsciousness or “deep sleep,” accompanied by a partial or complete loss of pain sensation, as well as protective reflexes, and including a loss of ability to independently maintain a breathing airway and respond purposefully to verbal or physical stimulation. Must be administered by a licensed anesthesiologist. Inflammation of the gums. Early stage of gum disease. Treated by a general dentist or periodontist. A procedure that involves a chamber into which instruments are placed and which raises the temperature for a period of time to kill all microorganisms. OSHA (Occupational Safety & Health Administration) standards require all dentists to use heat sterilization for dental instruments. A dental professional qualified to clean and scale teeth. They also educate patients on proper dental care. Certification is required. (Also called Video Imaging.) A photograph of teeth stored in a computer and then displayed on a television monitor. The dentist is able to show you an image of your smile and modify that image to show how your smile would look with new, repaired, or whitened teeth. A tooth that fails to erupt properly and remains fully or partially embedded and covered over by bone or gum tissue. This most often occurs with wisdom teeth. If not removed, impacted teeth can cause pain, headaches, infection and malocclusion. Most often treated by an oral surgeon. A fixed replacement for a missing tooth. The procedure involves the implanting of a metal shaft, usually titanium, implanted in the jawbone. A prosthetic (artificial) tooth is then affixed to this shaft, providing a strong permanent replacement for a lost tooth. Implants also prevent the gradual loss of bone material in the jaw that occurs over time with the use of dentures. The four upper or lower single cuspidfront teeth designed for incising (cutting) food. Anesthesia administered intravenously, used for people who want to be asleep during dental procedures. It is sometimes described as a “light” anesthesia. Special licensing is required for a dentist to perform this type of sedation in their office. Other types of anesthesia include general anesthesia and local anesthesia. Dental lasers are a family of instruments, some used for oral surgery, some to cure (harden) restorative tooth materials and enhance tooth bleaching, and others to remove tooth structure to eliminate disease. Lasers are also sometimes used to treat gingivitis (gum disease). New lasers are constantly being developed and refined, and can sometimes eliminate the need for drilling. Relieves the sensation of pain in a localized area. Done topically or by injection. Other forms of pain management include H-wave, DentiPatch, I.V. sedation, general anesthesia and nitrous oxide. Meaning "bad bite." Any condition that that does not conform to the normal bite of the teeth. Generally treated by an Orthodontist. A removable appliance used to protect teeth from injury during athletic activities. Most effective when created by a dentist who takes exact impressions of the user's teeth to make the guard. A removable plastic appliance used to minimize the effects of grinding the teeth (bruxism) or joint problems (TMD), usually worn at night. The appliance is created by a dental laboratory using exact impressions of the patient’s teeth taken by a dentist. Colorless, sweet-tasting gas with a pleasing smell when inhaled (also called “laughing gas”), used to help patients relax during treatment. While not technically a form of anesthesia, the distraction and relaxation of the patient usually helps to reduce the discomfort of the procedure. A gold or porcelain inlay extended to cover the cusps for protection of the tooth, leaving more natural tooth than a crown. Any substance taken orally (i.e., a pill or liquid) to reduce anxiety and relax the patient. Used in conjunction with some form of anesthesiaduring dental procedures. A specialist who deals with the diagnosis and surgical treatment of diseases, injuries, and deformities of the mouth and supporting structures. Often simply called an Oral Surgeon. Surgery of the mouth including removal of teeth, particularly wisdom teeth. 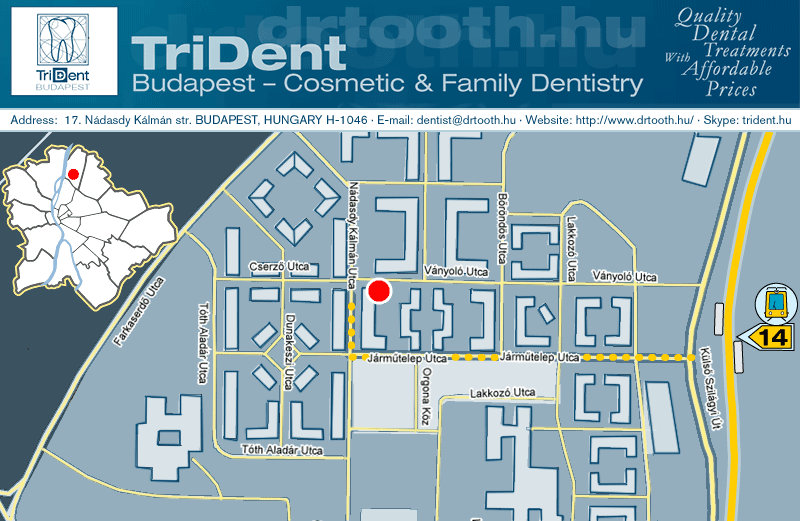 Dental specialty that treats misalignment and malocclusion of teeth. Treatment usually consists of braces or a retainer.A variety of procedures and braces are now available. A dental specialist who corrects irregularities of the teeth primarily through the use of braces or a retainer. A removable appliance (prosthesis) that replaces some of the teeth in either the upper or lower jaw, as opposed to a full denture, which replaces all the upper or lower teeth. Affixed to a natural tooth (abutment). An alternative to a partial denture is a dental implant. Dental specialty focusing on treatment of children’s teeth. A dentist who specializes in the treatment of children’s teeth. The more common terminology is Pediatric Dentist. A sticky substance that forms on the surface of the teeth and harbors bacteria growth and acid formation beneath its surface, causing tooth decay. Plaque build-up can irritate the gums and cause periodontal disease. Treated by regular dental cleanings, or prophylaxis,performed by a dentist or dental hygienist. Plastic or porcelain facing which is bonded directly to a tooth to improve its appearance, producing a very natural appearance. (Also called a “prophy” for short.) The professional cleaning and removal of plaque, stains, and calculus on the teeth, performed by a dentist or dental hygienist.Ideally performed at least every six months. The replacement of missing or lost teeth with artificial teeth. Common procedures are crowns, bridges, dentures, and implants. A dentist who specializes in restoring teeth and replacing missing teeth with crowns, bridges, dentures, and implants. The opening in the center of the crown of a tooth that contains the pulp (nerve tissue) and stretches to the tip of the root. One fourth of the mouth or half of the bottom or top section of the mouth. A high energy surgery technique. With the help of radiosurgery the dentist can cut the soft tissue without bleeding and can coagulate (haemostasis), which makes possible to make the fillings at one occassion. A procedure used to save an abscessed tooth in which the pulp chamber is cleaned out, disinfected, and filled with a permanent filling. Generally performed by an Endodontist. Deep cleaning of the teeth to remove hardened plaque below the gum line. This periodontal procedure is usually performed one quadrant at a time, usually by a periodontist or periodontal assistant. The removal of the root of a tooth while retaining the crown. Usually performed by an Endodontist. A treatment for gum disease involving removal of hardened plaque (tartar or calculus) from teeth. Performed by a dental hygienist during a prophylaxis (dental cleaning), or in more extreme cases by a periodontist. Plastic coating applied to grooves of the teeth to prevent decay, generally performed on children who are more prone to dental caries, or cavities. A disorder, which is potentially fatal, in which a person who is asleep may stop breathing multiple times for more than 10 seconds. A general dentist or an Oral and Maxillofacial Surgeon treats this disorder. The process of eliminating bacteria and viruses from tools, surfaces and equipment. OSHA (Occupational Safety & Health Administration) has specific standards for sterilization in all dental offices. See autoclave and heat sterilization. Also called calculus. Calcified plaque that forms from mineral salts in the saliva and deposits on the teeth. Removed in the course of a prophylaxis, or dental cleaning. Some toothpastes claim to reduce tartar accumulation, but only regular dental checkups can prevent this accumulation from causing gum disease and tooth loss. Problems associated with the temporomandibular joint (TMJ) which connects the lower jaw with the skull. Typically associated with pops and pain in the joint. Tooth cleaning (prophylaxis) that uses high frequency sound waves to gently remove deposits such as tartar and stains from the teeth. A professional process of whitening teeth that uses special compounds usually containing hydrogen or carbamide peroxide. Sometimes special light sources or high frequency radio waves are used in conjunction with these compounds. Over-the-counter whitening products are not the prescription strength that dentists use and are therefore less effective. The third set of molars, the last teeth to come in. For many people, wisdom teeth become impacted and must be removed by oral surgery. Radiation used for diagnostic purposes to photograph the bone tissue of the tooth above and below the gum line. See also panorex.